What is Achalasia Cardia ? Achalasia Cardia is an uncommon disorder causing patient difficulty in swallowing solids and liquids . 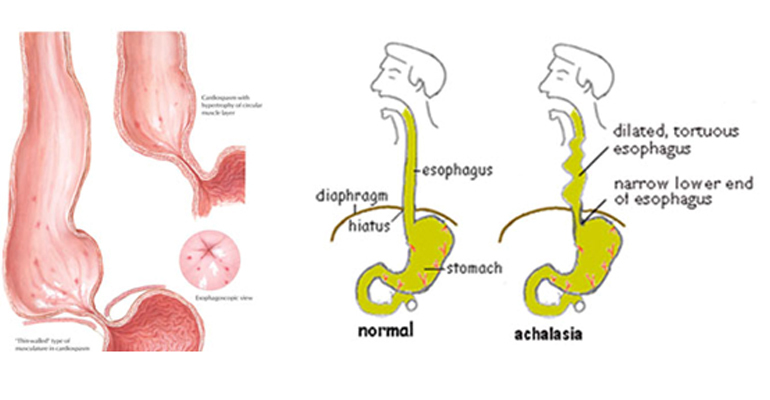 In achalasia cardia, two problems are seen commonly, first inability of pumping action of the wall of the food-pipe, second also loss of ability of the valve to relax in response to approach of food; resulting in ingested food and drink get collected in the food-pipe. What is the cause of Achalasia Cardia? The main cause of achalasia is degeneration of the nerve cells in the esophagus (the food pipe) for which the exact reason is yet not known. What are the symptoms of Achlasia Cardia? What is the treatment for Achlasia Cardia ? Laparoscopic Heller`s cardiomyotomy is the procedure of choice , here the muscle of the sphincter is cut under direct vision. This procedure is done entirely by trained laparoscopic surgeon with key-hole surgery. The procedure is generally combined with a antireflux procedure also. Dr. Mradul Garg has performed many Laparoscopic Procedures for Achalasia Cardia with his multi-disciplinary team at Fortis Hospital's state of the art facility. The duration of surgery is 60-90 minutes and requires overnight stay/ 2 days stay in hospital.